Before playing at First Avenue tonight as part of his Mike Doughty (Used To Be In Soul Coughing) tour, Mike Doughty stopped in to The Current's studio to do a live interview with Mary Lucia. After years of not playing the songs of the band he founded in the 90s, Mike Doughty's got an upright bass player, a drummer, and he's put together a show playing the best of Soul Coughing. Mike and Mary have known each other a long while; they talk about music and about Mike's memoir, The Book of Drugs. Theft of the Dial: Mike Doughty While in town to perform at Wits, singer-songwriter, author and self-described "Most Improved Camper, West Point Youth Camp, 1982," Mike Doughty stopped by The Current to hijack our airwaves and spin some yarns about his favorite tunes. 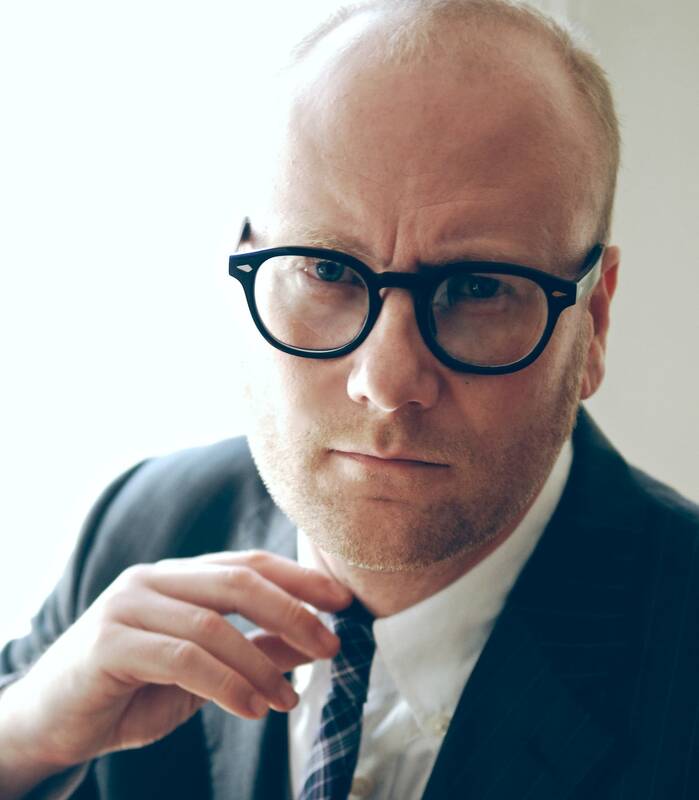 Mike Doughty performs in The Current studios Mike Doughty led the influential band Soul Coughing in the 1990s known for its idiosyncratic sound rooted in improvisation. At the turn of the last decade, he made his way into the solo scene, soon signing to Dave Matthews' label ATO Records. Mike Doughty performs in The Current studio Mike Doughty began his music career as frontman for the band Soul Coughing in 1992. In 2008 Mike Doughty is back with a brand new album entitled, "Golden Delicious" and sounding better than ever. Mike Doughty performs in studio Doughty spent the majority of the '90s as the frontman of Soul Coughing until their demise in 2000. He has spent the past few years touring the country as a solo artist. He joined Mary Lucia in the Current studios to talk about his connection to Minnesota and perform new songs. Mike Doughty performs in studio Making his second appearance in the Current studios, Mike Doughty brought a full band this time and revealed to Mary Lucia his recurring nightmares about fronting his former band, Soul Coughing.